To The Remnant: History, Hearsay and Heresy Part 3: Herein. Danger. Lies. Bring on the faith-promoting rumors!! Very well done (again)! I will admit my critical thinking skills are lacking even though I am asking questions I never once would have considered. Do you plan to do any future posts about the differences in the duties of Aaronic priesthood holders today, concerning the sacrament, when compared to the duties given to them by the Lord in D&C 20: 46 - 59? There are some real gems for comparison beyond just the sacramental duties. For instance, it explains that the elder is to be assisted by the priests, and the teachers are to be assisted by the deacons, but this is not how it functions today. We do it backwards and have the elders assist the priests, priests assist the teachers, and the teachers assist the deacons. Do you have sources of information you would recommend where I can study to find out how and when we changed to the current MO? Another item that really sinks in for me stems from your earlier posts about signs that follow those that believe. Apart from the fact that these signs follow all "them that believe" it is interesting to note the words of the Lord Himself as he says "In my name they shall..." There is no mention of Him mentioning authority or specific power since the real power comes from the faith of the individual. The work you are doing here is a great service to the church! I use the word "church" in its true sense to mean the people who call themselves Mormons, believe in the Book of Mormon, believe in Joseph Smith as a true Prophet and seek to follow Jesus Christ as our Lord and Savior; and not to mean The Church, Inc. which seems to be doing all it can to squelch individual thought and testimony and demand that its members become subservient wimps who blindly bend their knee, kiss the ring, and "follow the prophet" to the telestial kingdom. The "church" has become riddled with false doctrine, lies and apostasy from the Gospel of Jesus Christ; just as was foretold by numerous prophets in the Book of Mormon and by the Savior Himself in the Book of Mormon (3 Nephi 16:10 at least, and in other places as well). Thank you for laying to rest 2 more of the most pernicious false doctrines that are currently keeping the "church" bound down in chains. Thank you for doing this research and then taking the effort to publish it. Your efforts have blessed me and helped to remove yet another layer of the scales that have been built up on my eyes. 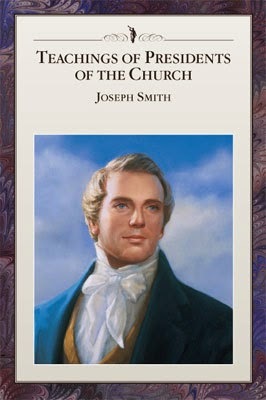 (2 Ne 30:6) From Joseph Smith on, we have not had his equal and do not experience the fruits of real faith. (D&C 84:65-72) I want desperately to remove from me all of the unbelief that I have so that I can have real faith in my Savior and can have the fruits of that faith, even to experience the baptism of fire and of the Holy Ghost (2 Ne 31:13), obtain an audience with angels (Moroni 7:37) and the Lord (John 14:23 + D&C 130:3), and to experience the spiritual gifts that were enjoyed during anytime real faith existed. These posts speak to me. Once you take a step back and look at the situation of the LDS church and its history, it is apparent that the church’s leaders are fallible, unreliable, and do err greatly. For one example: The church now officially condemns the teachings of earlier church leaders. (https://www.lds.org/topics/race-and-the-priesthood?lang=eng) All of these leaders are/were supposed to be in direct communication with the Lord, even Apostles, Prophets, Seers, and Revelators, so I don’t understand how they can disagree with one another and condemn one another’s teachings, even if they are from different eras. Is not God the same yesterday, today, and forever, and aren’t His truths unchangeable? (Mormon 9:9) And furthermore, following this fouled line of logic, if what was true then is not so now, will what is true now not be so in the future? Who can we ascribe this quibbling and vacillating to? Can we really expect to build Zion on such shifting and sandy foundations? The Rock upon which I want build is the Rock of Jesus Christ (Helaman 5:12) and of personal revelation (Matt 16:17-18). I want to seek Him who is mighty to save and let go of the damning practice of following and idolizing men. (D&C 76:98-113) Thank you for your help in laying down these unbeliefs. Thank you thank you thank you!!!!!! I really appreciate your effort in dismantling these false quotations attributed to Joseph. I agree with JR that this is a great service to the followers of Christ. These quotes have been bothering me and they always felt wrong, now I know why, they are lies meant to lead us into submission and spiritual prison. Thanks for removing another layer of chains. It would've awesome if you continued posts like this by going through that whole manual. I'd bet we would be absolutely amazed of the false teachings presented in there. "Why would our dispensation be somehow different? Where is the scripture that says so? I know we tell ourselves this story continually, but you would think that if the Lord had truly promised we couldn't possibly screw this up, He would have told us somewhere in scripture." " 72 And it came to pass that the servants did go and labor with their mights; and the Lord of the vineyard labored also with them; and they did obey the commandments of the Lord of the vineyard in all things. 74 And thus they labored, with all diligence, according to the commandments of the Lord of the vineyard, even until the bad had been cast away out of the vineyard, and the Lord had preserved unto himself that the trees had become again the natural fruit; and they became like unto one body; and the fruits were equal; and the Lord of the vineyard had preserved unto himself the natural fruit, which was most precious unto him from the beginning." I believe from the context that these verses correspond to our times, and more specifically I think they accurately describe the restoration and growth of the Church -- not just in numbers, but in overall righteousness. Anyways, I agree otherwise with objectively dealing with historical sources. Thanks! There is a servant called. He calls a few other servants. They commence the gathering of the natural branches (scattered remnants of the House of Israel). The Lord personally labors with them. I don't see any reference to any church or organization there. Just that the Lord will get his work done by working with a servant and some few others willing to hear and heed his voice. Rather than getting into a lengthy discussion about the identity of the servant, the trees, the locations, etc. I'll just say the following. We tend to read the scriptures by starting with a specific set of beliefs, then forcing the scriptures to comply with our beliefs. And we do this MUCH more than any of us realize. By doing so, we have overlaid very different meanings upon the Book of Mormon than are actually found in the book. It's so deeply ingrained, we don't even realize we're doing it. Jacob 5 deals with sweeping events of cosmic scale. Literally. The themes, events, and players embrace the history of this world and other worlds as well. There is much more there than we may be willing to see. We can make this a parable about an earthly church institution if we want to, but I think that misses the mark considerably. I'll have more to say in future posts. Jacob 6 holds important keys to the last time the servants go into the vineyard to labor. 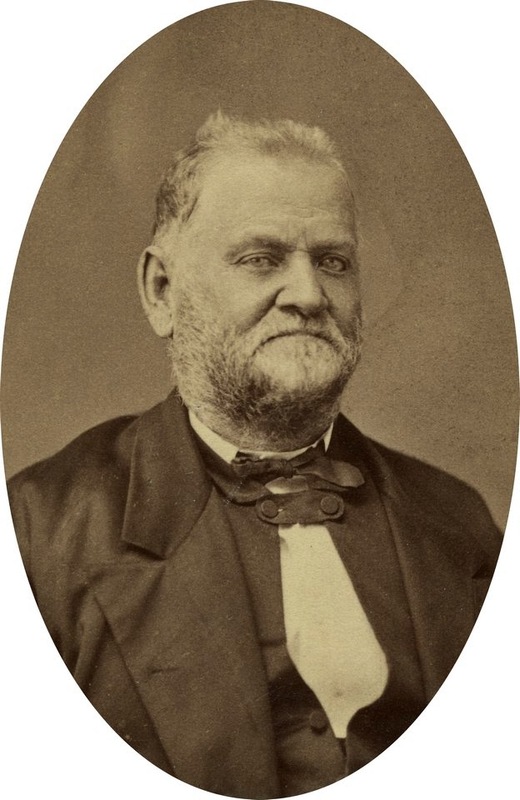 Where can I find Wilford Woodruff's journal? This is a classic post! I've come back to it often. I compared Richards with Woodruff. The final section in each was different, but both referred to a "sign" Joseph apparently spoke about. (Actually, there are many differences between the two accounts, so it's not clear that Richards copied from Woodruff. They could have both copied from a third document.) Woodruff's allusion to "this sign" that is not otherwise mentioned in his account suggests Joseph did talk about a "sign" that Woodruff failed to mention. IOW, Woodruff's account corroborates the Richards account, but doesn't prove Richards had it word-for-word correct.